I feel like registration the 529 Shield is a good idea for my bike, but in doing some research it seems that a lot of advocacy groups have actively fought against bike licensing? Some even say that adding a sticker like that gives the police additional grounds to pull you over or hassle you – like bell or helmet laws. What’s the straight story? I feel you. 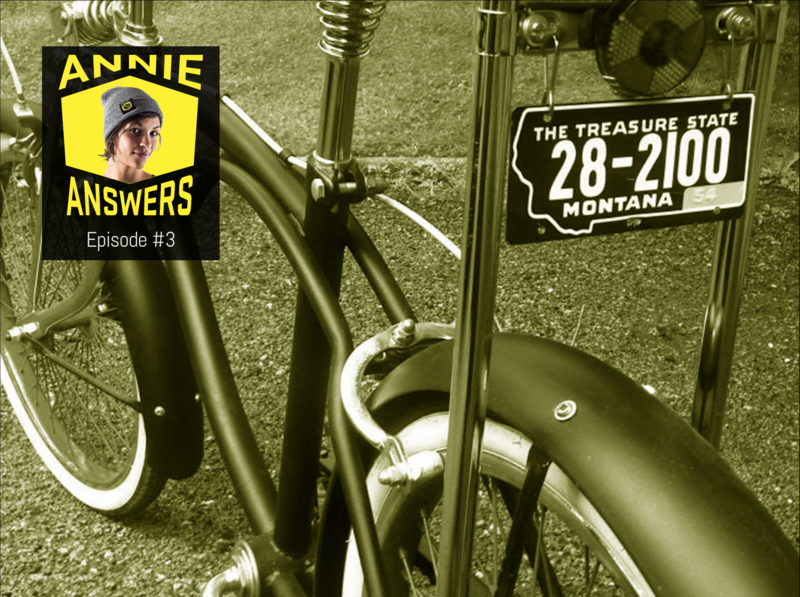 When I first started researching bike theft, I was surprised to hear how many different cities and organizations have nearly come to blows over the “bike licensing” topic over the last years! Given that one of the biggest contributors to bike theft is the lack of registration, it would seem to make a lot of sense to add the requirement that every new bike is registered. After all, every other vehicle that we put on our roads, waterways and skies is registered at point-of-sale and the police don’t struggle at all with returning found vehicles to owners. However, after spending a little more time talking to both sides of the problem, I think I’ve come to understand why this has become such a volatile topic in communities and the logic behind the arguments. First, there is some sloppy terminology in terms of what is actually meant when many of these proposals are socialized. I’ll use 3 distinct terms to frame the problem: bicycle registration (ownership), bicycle licensing (usage fee) and bicyclist licensing (qualifications). Oftentimes these different concepts get lumped into one loose proposal, and often in response to a single, often public situation. Without taking a position on any of the arguments, I’ll try to lay out what I’ve heard and seen. Advocacy groups pushing hard to get more people cycling argue strongly that an annual bike licensing fee via will restrict ridership and that other municipal taxes more than cover the road usage costs. And, if the fee is modest enough to prevent this (say $10 annually), that the cost of collection will nullify any real revenue to contribute to infrastructure. The counter-point is that many cities are pouring millions into infrastructure like secure parking, protected lanes and safe bike routes and that some of that money should be coming from the folks that benefit the most from its development. Bicyclist licensing generally receives a more hostile response from the cycling community. “At what age do we test?” “Are we going to pull over grade schoolers for not using hand signals?” “Who is going to pay for an administer the test?” “Cars kill, bikes don’t. That’s why we test the operators of autos.” No matter which side of the argument you are on, it is pretty clear that the logistics of a testing system and meaningful enforcement would be quite complicated in most communities. Most bills are regional and not state or federal in scope. And, most cyclists traverse city and state lines with their bicycles. So, if you’re trying to solve the bike theft problem (we know that many if not most stolen bikes are sold outside of the city they are stolen in), to have a positive impact, you need to have a broader geographic radius than most proposals suggest. On the enforcement front, are visiting riders and tourists required to register their bikes when passing through? Is there a “grandfather period” for existing bikes in the market? Is there a certain vintage or value of bike that is not required to be registered? These logistics topics are rarely ever addressed by proposed bills. In terms of point-of-sale registration (like cars, jetskis and motorcycles), the bike channel is much, much broader. In fact, most bike sales in the US and Canada actually source not from bike shops (who sell less than 20%), but from national “big box” retailers like Wal-Mart, Target, Big 5, REI, MEC and Canadian Tire. Unlike a car dealer or motorcycle shop that designed their point-of-sale system with registration in mind, retrofitting dozens of computer systems with a new concept is a non-trivial task. And, to achieve 100% compliance, you’re going to need the national retailers to get onboard. Few cities are going to have the political clout, or invest the efforts to make this happen with the big nationals. Registration is just one half of the computer system problem, the other half of the problem is the need for all of the licensing and enforcement constituencies to be able to “run a plate”. This means integration with the police computer systems, training dispatch, parking enforcement systems, etc. If you think about all of the computer systems that have a “license plate” field in them, well, those are all of the systems that you are going to need to fix for a city to be able to enforce the program. Enforcement policy is a tricky one as well. Are police cars going to start pulling over bikes? Are we going to have “plates” large-enough-to-read-from-cars attached to bikes (how and where?). Does the rider of an unregistered bicycle get ticketed or is it the shop that sold it? If the latter, how is that proven? Turning to the Internet – a huge number of bike sales happen online through bike dealers and used marketplaces. Are all online sellers going to be required to register a bike shipping to city X? What about used marketplace sellers on craigslist, OfferUp and eBay? How about a bike shop in city X with a strong Internet business? Then there’s the education, awareness and promotion component. What agency is charged with the education, enforcement and general choreography of the program? A typical city will have over 100 outlets where bicycles are sold – who is responsible for educating these businesses, helping them make the transition, developing education material, raising awareness of the program, working with bicycle clubs and programs to get the word out, etc. The DMV services this need (in the US) for most vehicle licensing and would be the likely “host” for such a program. Consider the physical retrofit of these facilities not designed to accommodate bicycles either outside or inside. Finally, consider the challenge with registering 100,000’s of existing bicycles in a given city where owners no longer have any proof of ownership, bikes have changed hands… not to mention there’s no standard VIN like system for bicycles making even the capture of correct serial numbers challenging – and virtually no chance of validation of them (unlike other vehicles). In the end, passing a compulsory registration bill is the easiest part of the equation (perhaps this is what makes it popular with lawmakers). Logistically, there’s an enormous amount of work and cost associated with making it happen. We know, because that’s what we’ve been trying to do with voluntary registration in our partner communities. The silver lining in all of this is that bike riders, shops and clubs all do want to tackle the bike theft problem and will engage on voluntary registration programs as we’ve seen in many partner cities now. We’re big believers that asking people to help is a better first step than telling people what to do. For all of these reasons, we started with a voluntary bicycle registration movement and providing terrific tools to everyone in the ecosystem to make bike registration easy and are compelled to stick with it as the right approach for the time being. Does it work? You bet! In Vancouver, we’ve seen a 35% reduction of bike theft reports in the last year and a doubling of stolen bike reunions. These results would have been impossible without the support of about 50 bike shops in Vancouver helping out – but because they were asked.